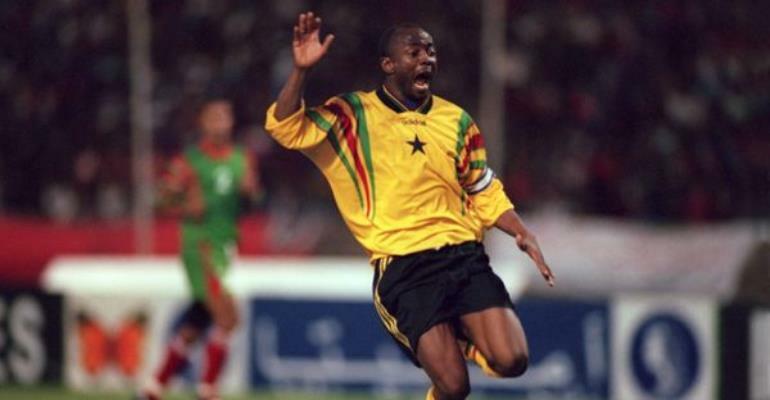 Two of Africa's greatest stars, Abedi Pele and George Weah,will this weekend attempt to use the powerful, global language of football as a unifying force to help deepen peace in the Dagbon traditional area. Concerned about the protracted conflict between the Dagomba families —Andanis and Abudus — Weah and Abedi want to give true meaning to their ambassadorial status as they face each other in an exhibition match in Tamale. The match, which features other celebrated soccer stars like 'dribbling professor' Mohammed Polo, Nii Odartey Lamptey, among others, seeks to silence the war drums ahead of the December 7 general election. With experience of playing in similar matches in other conflict areas of the world, Abedi and Weah decided to use their influence to douse the flames of conflict and preach peace in the Dagbon.The initiative has received the support of the UNDP, Maracuja Passion Drink and Alpha Lotto, who have put together resources to fly the stars to Tamale. At a press briefing in Accra yesterday, Mr Ozonia Ajielo, UNDP's advisor on Peace and Governance, said that his organisation's support of the peace match was rooted in the UNDP's active interest in different peace initiatives in Dagbon. Thus, the match offers an important opportunity to consolidate peace in the northern territory of Ghana. Abedi attested to the effectiveness and success of similar FIFA-organised peace matches in which he had participated alongside Weah and other world stars. Incidentally, Abedi's legend has its roots in Tamale where he attended secondary school and played for Real Tamale United for about four years. "It's a special feeling I have to play in Tamale, and also share with the people our concern for a restoration of peace there. That's where I started playing and became who I am today," said Ghana's Soccer Ambassador Extraordinaire, who suggested the possibility of extending the peace initiative to Yendi, another conflict area in Dagbon. Mr Fiifi Banson, one of the organisers of the match, told the Graphic that Weah, who is presently in Liberia to pursue his presidential ambitions, is due to arrive in Accra today for the contingent dubbed "Abedi,Weah and Friends" to travel to Tamale on friday for the match on Saturday.